IKEA Singapore recently launched the first of the four catalogue launches, that will address different challenges, tensions, needs and dreams of everyday living in Singapore to make home count . The spotlight for IKEA’s first launching is the living room. Did you know that back in the days, the living room was called the ‘death room’. (Spooky, I know, the contradiction is uncanny) They call it that because funerals were usually held in the living room that it eventually gets called the ‘death room’ but that was back in the old days. Rest assured, today the living room is the most lively room where your children have their play time, movie nights with the fam bam and family gatherings - and that is one of IKEA’s goals. IKEA hopes to encourage you to organize your living and create feel-good homes for yourselves and your loved ones. Moving forward in the article, I will be sharing with you the amazing things IKEA has in store for you - from inspirations for your home dilemma to ‘open houses’, a throwback of classic pieces and many more. First and foremost, let me share with you what’s taking a toll on Singapore homeowners these days. It’s having too much stuff! IKEA’s 2017 Life at Home Report has proven that having “too much stuff” is one of the biggest stress factors for homeowners. Have you ever watched the TV Show called Hoarders? The show showcases the real-life struggle and treatments for people who have trouble getting rid of the worn-off clothes that they don’t really need any more, broken vase that has ‘sentimental’ value and many more. 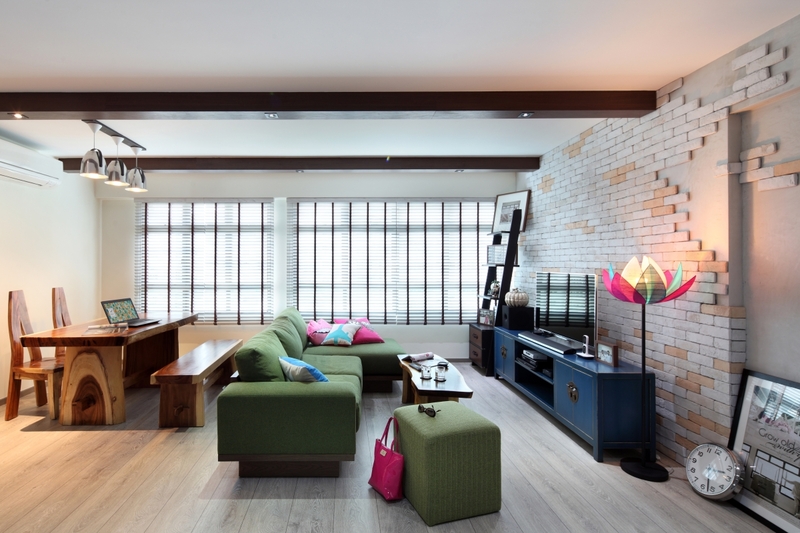 Slightly over half of Singaporeans surveyed (54%) said that their main household arguments were over what forms a “mess” in the home. These common tensions and valuable insights have fired a spark of an idea for solutions and inspirations within IKEA’s 2019 Catalogue. The 2019 IKEA Catalogue invites you, to an “open house” filled with inspiration for everyday life. Though there won’t be cookies at this open house, you will be delighted with not one, not two but seven “open houses” - brilliant ideas for your home. On top of that, IKEA’s seven catalogue homes represent a wide range of styles, sizes, and budgets; proof that there really is no such thing as typical IKEA home (or customer!). The selfie mockup they have at the IKEA Tampines is amazing. For all you selfie-freaks, head on down to IKEA Tampines to check it out. “By addressing the challenges of real life, whether through locally relevant home furnishing solutions in our room setting at our stores or inspiring stories through the IKEA Catalogue, we hope to inspire our customers to make life at home better,” said Mike King, Deputy Managing Director at IKEA Southeast Asia. As IKEA is aware of evolving customer behaviour, they will conduct several tests with its Catalogue in order to find better ways to reach, interact and inspire people in their upcoming event launch. IKEA Singapore is known as one of the selected markets globally that will explore how different methods of distributing the IKEA Catalogue content can help them reach and inspire customers in an impactful and meaningful manner. I am Intrigued, How Do I Get a Hold of This Catalogue? In-store browsing copies - Available at the Alexandra and IKEA Tampines stores. If you liked what you see, be a dear and share the links with your family, friends, the whole world even, about this catalogue. Throwback Time! Happy Birthday, IKEA! Apart from the launch, IKEA is celebrating their 75th year of inspiring a better everyday life at home for you and to mark this grand milestone, IKEA has decided to make a comeback of the GRATULERA collection especially for you. The GRATULERA collection is the epitome of nostalgic and classic products. Ranging from the 1950s until the early 2000s, these amazing back to the future items will be available for a limited time only. Wake Me Up When September…..
Starts! Wake me up when September starts. The beginning of a new month brings a lot of new wonderful collections. If you’re a fan of pastel or Scandinavian theme. Girl, look no further, I got you. There are many other amazing collections for this September if these items entice you, I’m pretty sure you’d be hooked on the others too, do check it out in the catalogue. To summarize, the launching of the new catalogue not only gives you fresh, new ideas for your home but also bringing us back down memory lane with some nostalgic and classic pieces. With so much to look forward to, I can’t wait for the next IKEA’s launching event. If your house looks like an IKEA mockup, send in your casa pictures to inspire others!